Finding the best outdoor play equipment for your kids is no easy task. There are many things to consider, from what your children are likely to enjoy, to what will keep their interest as they grow older. This is one reason why Vuly Play designed 360 Pro - to be the ultimate kids play equipment like no other. Whether you’re in the market for a swing set configuration or a more dedicated playset - 360 Pro offers limitless possibilities. We know from history that play equipment is not new. In fact, there is pottery that has survived since 1450 BC that depicts someone sitting on a swing. It’s wasn’t restricted to a single culture either. Greek vases show women and children playing on swings, while in the United States, it was common for pioneer families to use ropes and sticks tied to trees as children’s play equipment. As outdoor play equipment has evolved, so has the materials used in their design. Over the years, swing and playsets have used anything from tyres, vines, sticks, metals and simple rope. Who can forget the classic rope swing that often accompanied the local swimming hole! Playground and play equipment since the early days of the 20th century (and even some up until now) have been constructed from materials that are rather unsafe for children; think sharp, uncoated and thin steel. You may still remember sliding down a hot metal slide during the day and feeling its uncomfortable heat, or perhaps being cut by a broken piece of thick plastic. Thankfully, improvements to safety standards in recent years have made options available for families markedly safer. Our communities and governments decided that our children need to be safer, and when manufacturers comply, you'll see far fewer injuries on modern play equipment than those you played on as a kid. Modern play equipment seen in backyards today should have a huge focus on the safety of children, with softer materials and a sturdier foundation that helps to avoid injuries. While models like the above may be stronger and more safety-conscious than play equipment from decades ago, they still are often constructed from weaker plastics and metals. They also lack innovation when it comes to play activities. Simply put, this type of play equipment hasn’t evolved. Ente Vuly 360 Pro: the best outdoor play equipment with an emphasis on quality and innovative design. 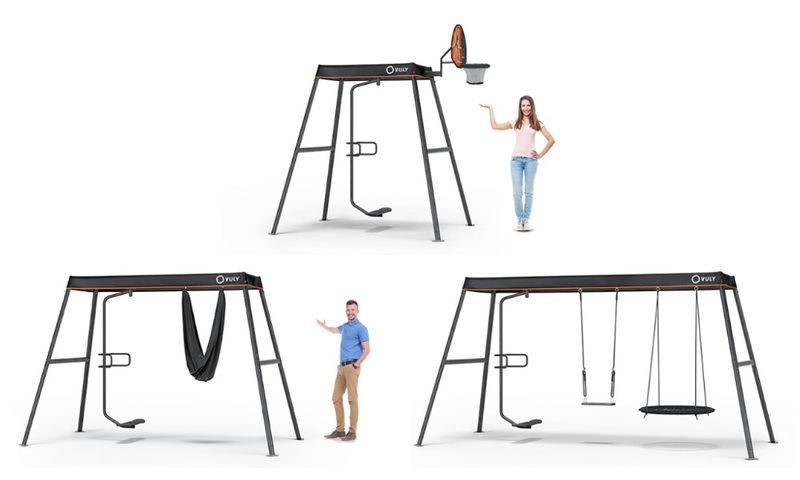 With 360 Pro play equipment, kids (and adults) have a range of options outside of swinging, including skating/snowboarding on the Spin Swing, shooting some hoops with the Basketball Set or performing acrobatics on the Yoga Swing. And remember, thanks to its modular design, you choose the 360 Pro size and configuration that works best for your family and budget. Better yet, this flexibility allows you to upgrade to larger frames or different accessories in the future at anytime — perfect to accommodate kids as they grow and their interests change. It’s also easy to make one online. Build your 360 Pro right now! Why is 360 Pro the Best Play Equipment? We have made sure that 360 Pro is one of the best pieces of play equipment on the market. Safe Design - The sturdy A-frame and anchors ensure your children can play with complete confidence. Stronger, Tougher Construction - Built to last with 2x thicker and 40% wider steel. Shade Cover - Over 10,000 hours tested under Australian weather conditions. Spin Swing - More than 10,000 spins tested in third-party labs. Frame - 72-hour salt spray testing to meet rust protection standards. Flexible Attachments - A big part of why kids stop wanting to play with something is because they get bored, but it’s hard to get bored with something when it’s always changing. 360 Pro always allows you to keep things fresh! On a budget? Start your kids out with a Nest Swing and a Classic Swing. Coming up to a birthday? Upgrade to the Spin Swing for mid-air skateboarding tricks. Are they becoming more creative? Kick things up a notch with the Yoga Swing to practice hanging and gymnastic tricks. See how Vuly have created the best outdoor play equipment for kids! Our kids outdoor playsets and its range of accessories offers something for everyone! We have put together a range of activities that kids of all ages can enjoy. Even better, 360 Pro also offers fitness and stretching opportunities for parents. Looking for exciting ways to make the most of the Vuly Spin Swing? Based on classic timed competitions, this backyard play equipment challenge requires competitors to complete as many 360s on their Spin Swing as possible within a one-minute time frame. Have the competitor climb aboard the swing, ensuring their feet are firmly planted on the board and hands tightly gripping the aluminium handle, -before starting the timer. Tip: It’s easier keeping track of the number of 360 swings if everyone in the group yells out the number together in unison (plus, it builds some competitive suspense!). You can add further challenge by trying this in reverse! Have competitors face their body to the outside of the swing, reaching their arms back behind them and securely holding the aluminium handle. See how many they can complete in one minute. This outdoor 360 challenge involves the same one minute time frame, except this time competitors battle against waves of water from the backyard hose. Just like wakeboarders that must contend with wet conditions on water-based boards, begin the timer before gently spraying streams of water in varying directions for a whole lot of challenging fun. If a hose isn’t an option, substitute with buckets of water. And no need to worry parents, Vuly’s seriously durable double-galvanised, powder coated aluminium equipment frames can withstand plenty of water without rust or deterioration. 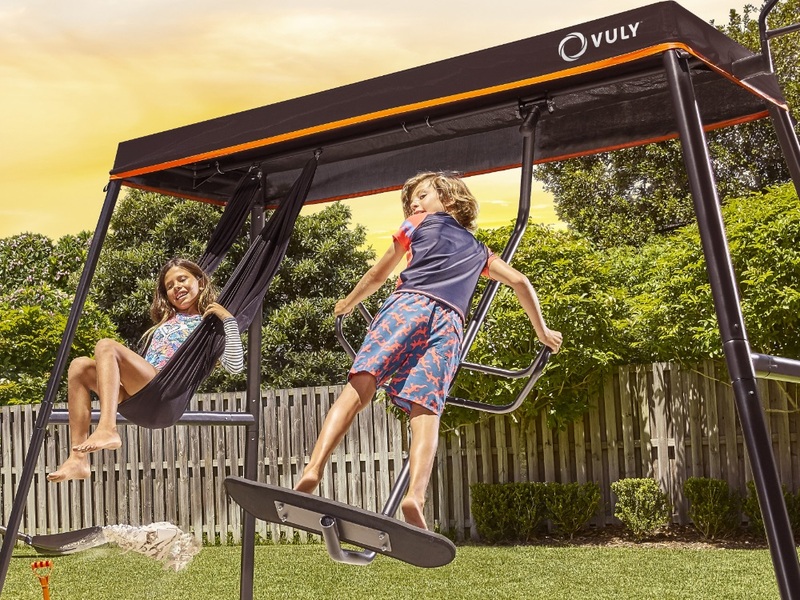 The Vuly Yoga Swing isn’t just a traditional swing or comfy hammock — it’s a great starting point for some easy acrobatics for the kids! Based on aerial silk acrobatics (which involves wrapping your feet and arms around suspended ribbons of fabric to perform above-ground acrobatic exercises), the Yoga Swings allows for a range of fun moves to be performed. We recommend that these moves aren’t attempted by children under 7 years of age, and that parents supervise at all times. This easy acrobatics move on your play equipment brings out the little monkey in your son or daughter! Have your child sit in the Yoga Swing with their feet dangling in front of them and their hands holding onto the fabric sides. With a firm grip, have them bring their feet up to the flexible fabric sides of the yoga swing, winding the fabric around their ankles and legs a few times so their legs are firmly held in place. A great acrobatic move that gently improves flexibility, the kids will love setting personal bests on their Yoga Swing as they become bendier! This strengthening acrobatic move isn’t easy, but practice makes perfect! Have your child sit in the Yoga Swing with their feet dangling in front of them. Reaching up, have them wrap their arms and wrists through the fabric sides of the Yoga Swing a few times then grab on, so their arms are firmly in place. Extend their legs straight out in front of them, then using their upper body strength have them lift themselves into a pull up off the base of the swing. Although kids don’t need our help imagining new worlds and adventures, some play equipment sparks their imaginations better than others! No swing for playset does this better than Vuly’s 360 Pro. It’s a launchpad for imaginative play and role-playing. With the 360 Pro, your kids can set off to different worlds – all without leaving the comfort and safety of your home. See just some of the fun characters you can encourage your kids to play as with 360 Pro. Whether it’s skateboarding, snowboarding, or surfing, 360 Pro’s unique Spin Swing attachment keeps your child’s board dreams alive and kicking. This swing suspends them on air with a sturdy flat board that provides complete 360 manoeuvrability for realistic boarding action – with handles for safety and stability. You kids can carve, spin, and swing on a board just like a professional boarder, weaving back and forth however they like. It’s the perfect substitute for actual boarding, especially if the weather isn't in your favour. With 360 Pro and the Spin Swing, your kids can practice snowboarding even when it’s summer or practice surfing even when it’s too cold to swim. Kids are so nimble that it takes no effort at all to twist their bodies in all sorts of ways. With 360 Pro’s Yoga Swing attachment, they can safely become an acrobat for real! The Yoga Swing features a strong, durable fabric that can hold your child safely in air, so they can practice their moves just above ground level. It’s a safe, fun, and exciting way for you to make your kids’ acrobat dreams come true. Let your kids shoot as many hoops as they want with basketball set accessory for 360 Pro. 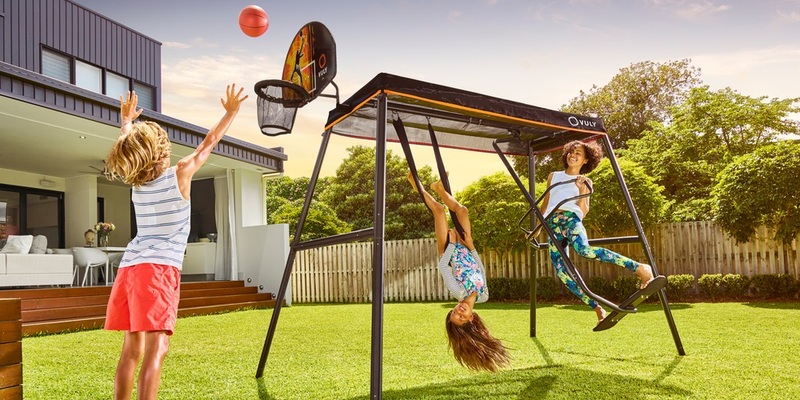 This add-on attaches a high-quality basketball ring on top of your 360 Pro, giving you the ability to create a makeshift basketball court in your backyard. Whether they want to practice their free throws or simply shoot some hoops to pass the time, 360 Pro’s basketball set add-on will have your child feeling like a basketball superstar in no time. Don’t be surprised to hear words like these when your kids step on 360 Pro’s Nest Swing attachment and imagine deep space adventures. Featuring a circular, webbed seat, the Nest Swing provides a dynamic platform that can serve as a spaceship, lander, or any other spacecraft that your kids can imagine. Its webbed design also gives it a different experience than other swings, providing a seat that swings and shifts in different directions for more active play. Set it up to the height you want and watch your kids as they blaze through space avoiding asteroids and meteors along the way. While 360 Pro offers limitless opportunities for children, you can also join in on the fun when they’re out on the swing set. 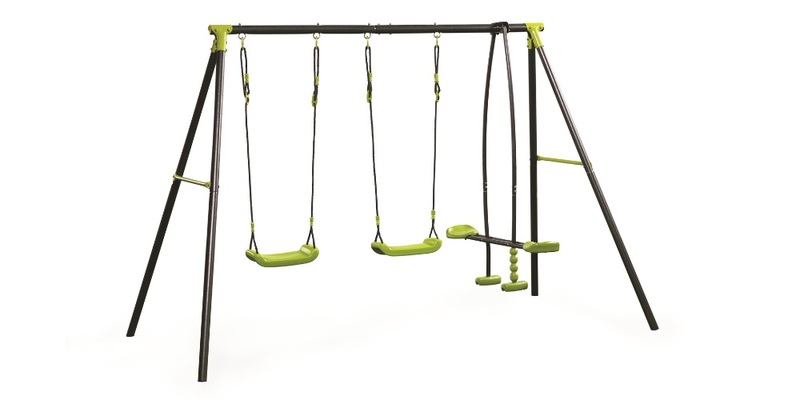 With the combined user weight rating of 150 kg with 360 Pro swings you can jump on too. Or just lay back on the Yoga Swing and supervise while they carve it up on the Spin Swing! The Yoga Swing’s gently supportive material is ideal for curling up with a good book, transforming the kids’ outdoor play set into a relaxing zen zone! 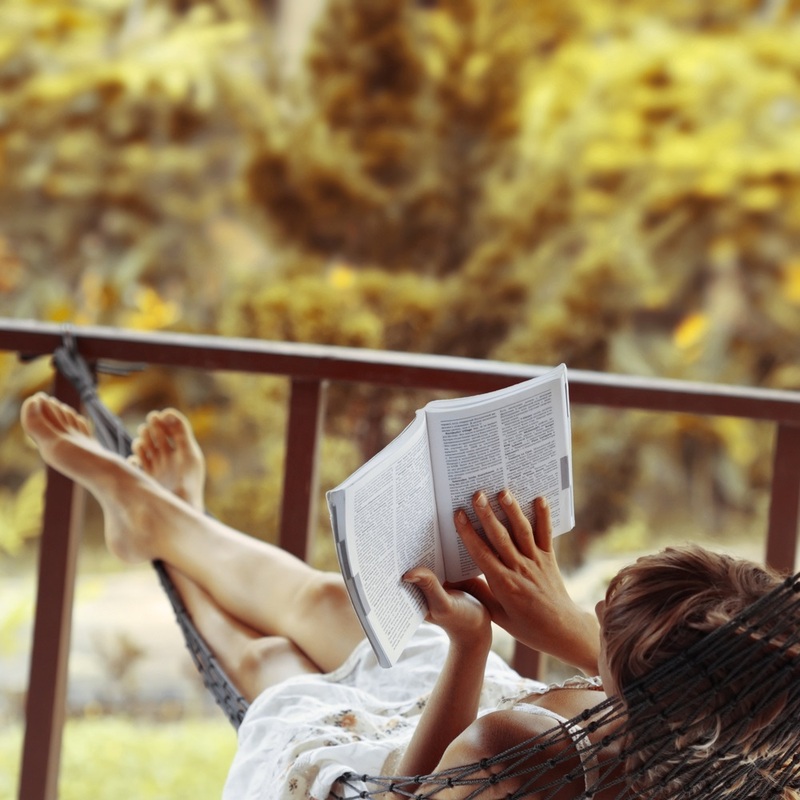 It’s important that we get enough downtime in our day-to-day lives, so why not take some time out for yourself? With the ability for it to quickly and easily transform into a hammock, lean back and gently sway for a relaxing rest while the kids are out. 360 Pro is also a brilliant stretching station to help you lengthen out those muscles before and at the end of a workout. The sturdy metal frame can assist with a wide range of flexy, stretchy movements—just let us show you how. An ideal stretch for releasing tension in tight hamstrings and calves. Feel instant results performing this simple, one-legged stretch using the horizontal connectors bars on 360 Pro’s frame. Stand at one end of the 360 Pro frames facing inwards. Lift one foot up onto the horizontal frame bar that connects the two posts, keeping your leg as straight as possible. Hold the position, and as you feel your muscles loosen, gently lean forward into the stretch for a deeper effect. Been engaging in tough upper body strengthening? Then this chest opener stretch using the supporting posts of 360 Pro is for you. Ideal for practising after push ups, pull ups or shoulder flys. Stand at one end of 360 Pro, and hold your forearm up against one of the posts so it’s at a right angle to your body. With your palm against the post, gently apply pressure and slightly turn your chest out away from your arm so you’re feeling a stretch through your bicep and chest muscles. Stretching out your quads can be tricky if your balance isn’t great. However 360 Pro is the perfect steadying tool to assist you. Stand beside one 360 Pro frame poles, and grip with one hand for balance. Raise one foot behind you, grabbing with your hand and pulling in towards yourself so the front of your leg is being stretched. Hold for approximately 30 seconds before repeating on the other side. Crunches and core exercises can really build up a burn, so releasing any tightness is easy with this effective abdomen stretch using 360 Pro frame poles. Lift your hands up behind you and grab hold of the pole, just above your head. Curve your body outward whilst keeping a tight grip on the pole, so your abdomen is sticking out. Hold while deep breathing until you feel any tightness release. Take full advantage of 360 Pro by incorporating it with your fitness activities and exercises. Just because it’s fun outdoor play equipment doesn’t mean you can’t use it to get fitter and stronger! Kick off your fitness routine with a set of diagonal push ups! They are less taxing than standard push ups making them a fantastic alternative for people who find regular push ups can strain their back and neck. In front of the Yoga Swing, position your body in a traditional push up stance, with your hands flat on the ground (slightly more than shoulder-width apart) and your legs behind you. Step up each leg one at a time into the yoga swing, so your ankles are supported by the band of fabric. Bend your elbows slowly lowering yourself into a push up, then return to your starting position. We recommend completing 3 rounds of 10 sets. Use 360 Pro for some brilliant ab-crunching strength training! A great exercise to assist with strengthening your abdominals, which help to support your back. Sit in the Yoga Swing, holding onto both sides firmly. Slightly pull yourself up off the swing so your weight isn’t concentrated into the seat. With your legs stretched out straight in front of you and toes pointed, lower and lift your legs in unison, holding in your abdominals for support. We recommend completing 3 rounds of 10 sets. Get an amazing chest exercise that tones and defines,just from using your 360 Pro. Extend your legs out straight in front of you, so only your tip toes are touching the ground. Slowly lean back until your arms are fully extended out in front of you, then slowly pull yourself back into the Yoga Swing. With any outdoor play equipment such as 360 Pro, it’s best to take the time to carefully plan where you should position the frame in your yard. Safety should also be an important point of consideration, so be sure to follow the below guidelines. It’s simple really ... the flatter the ground your children’s play equipment is located on, the better! Setting up a swing or playset on a slope can cause the frame to become unbalanced and potentially topple, creating a serious safety risk for your little ones. Plus, it means the kids have an uneven, unsafe landing zone when they do decide to jump off their play equipment, potentially causing them to fall forwards or back onto themselves. 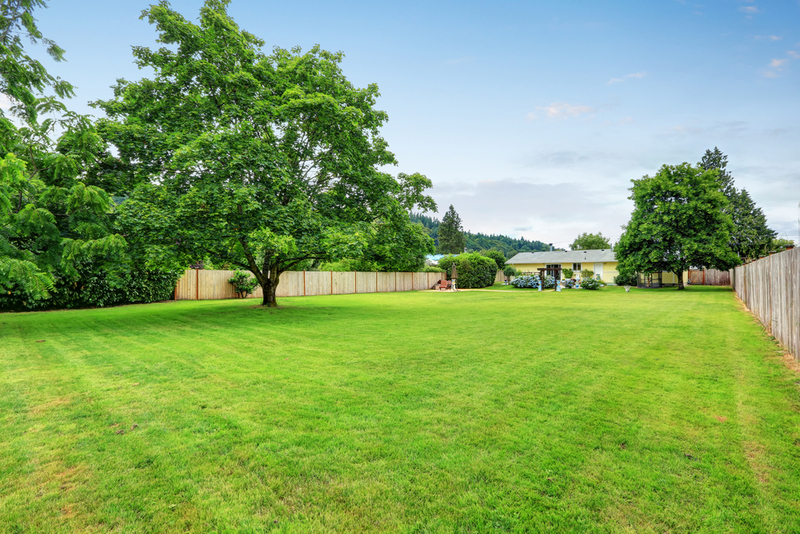 Once you’ve found the flattest ground in your backyard, ensure the area is free from any sharp sticks, rocks or other objects. If you’re looking for some extra padding for the kids to land on when they do jump off their play set, we recommend creating a sand or soft bark foundation for the play equipment to sit on. When choosing a location for play equipment, it’s a good idea to think about supervision Are you able to easily watch the kids playing from your primary living areas? From the back deck? It’s important that play equipment isn’t hidden from view, and that you can keep an eye on the kids at all times. Once you’ve chosen that ideal yard location for your kids outdoor play equipment, it’s important to ensure the swings are given plenty of clearance both in front and to the back (we generally recommend1.3m both in front and behind the swings is adequate). Check for any obstructions that the kids could potentially come into contact with when playing, like rock walls, fences and other play equipment. Ensure that any swings are clear of any large trees, where falling branches or dripping sap could be a concern. 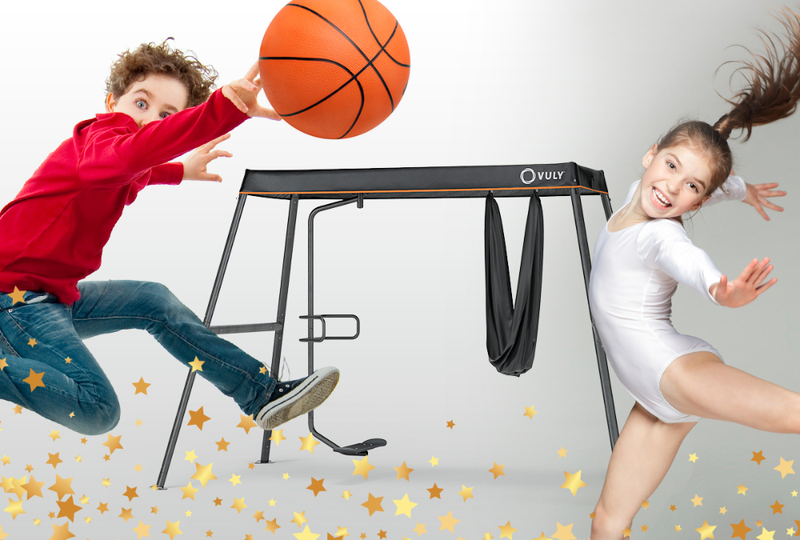 Don't forget Vuly also specalise in high quality trampolines. If your kids would rather bounce than swing, see our trampoline range today.